Could you picture having the City of London, the Shanghai International Port and the United Nations Headquarters in one gigantic submarine? That would be an unfair summary of what Equinox really is. Discover the underwater city of Equinox, this huge octahedron with its many levels that floats on the Rockhall Threshold. Learn more about its population and way of life and the most important locations. 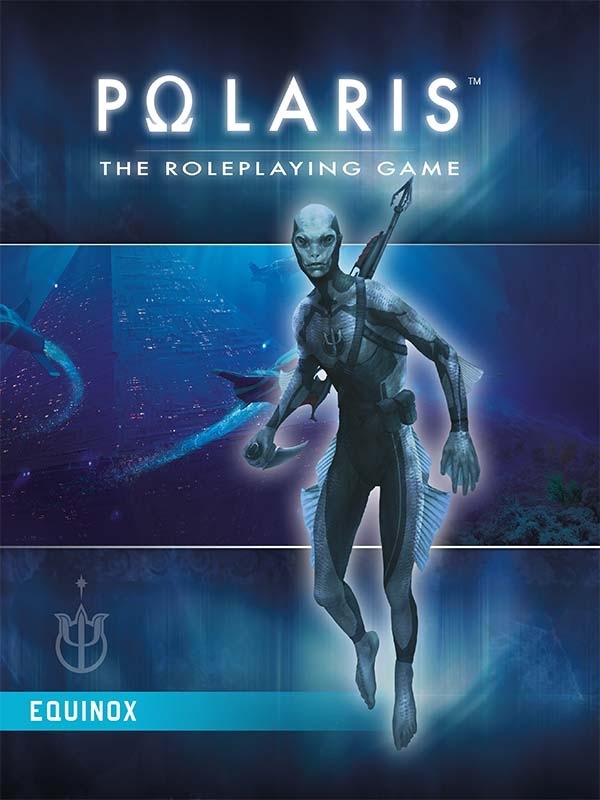 This supplement also gives you more information about the Cult of the Trident, their power and intrigues and lets you start exploring Equinox right away with the short adventure "Industrial Espionage!" Sign in to start a discussion about Equinox (Polaris) Hardcover!